19 Aug 2016 --- Despite IOI Group regaining its certified status following a suspension from the Roundtable on Sustainable Palm Oil, companies are still reluctant to use the supplier. As reported in FoodIngredientsFirst on August 9, the RSPO lifted a temporary suspension against IOI earlier than anticipated prompting several organizations to claim it was premature to do so. But ten days on and companies, including multinational Unilever and Mondelez, are reluctant to source palm oil products until IOI shows tangible improvements on the ground. The suspension concerned three subsidiaries that allegedly violated a raft of RSPO standards that are meant to prevent rainforest destruction, social conflict and some laws. GreenPalm is a certificate trading program that allows manufacturers and retailers to purchase GreenPalm certificates from an RSPO certified palm oil grower to offset each ton of palm oil, palm kernel oil they use. 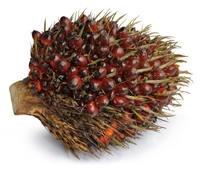 Bob Norman, general manager of GreenPalm, tells FoodIngredientsFirst about the current palm oil market and how companies are still hesitant to contract IOI. “We have seen an increase in prices over the past two months in the palm certificate market. The volume that is showing on the GreenPalm website as being committed to be bid for is twice the volume showing as being offered,” he says. “Despite IOI regaining its certified status, we understand that companies will be hesitant to sign contracts with the supplier until they see tangible improvements." Although Unilever acknowledges IOI’s revised Sustainable Palm Oil Policy (SPOP), it still does not intend to source until more concrete evidence of change is demonstrated on the ground. A spokesperson for IOI commented to FoodIngredientsFirst: "Unilever's position is a matter for them and it is not for us to comment on it. What we can say is that, as previously announced, we have published a revised Sustainable Palm Oil Policy (SPOP) alongside a very detailed Sustainable Implementation Plan (SIP) setting out clear activities, milestones and timelines for delivery of the Policy. We consulted widely on the contents of those documents, including with our customers. Our focus will now be on the implementation of our commitments and progress reports will be made public on a quarterly basis beginning in Q4 of this year."